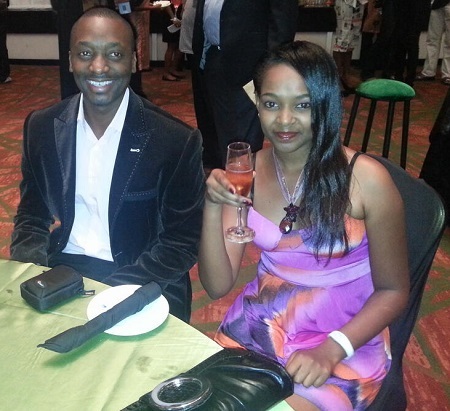 The first-ever Africa Magic Viewers Choice Awards 2013 were held at Eko Hotel in Lagos yesterday with Big Brother Africa presenter IK and former Zimbabwe BBA housemate, Vimbai Mutinhiri as the hosts. 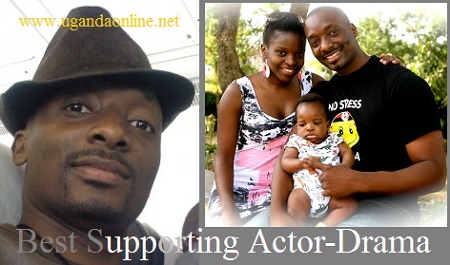 Matthew Nabwiso of the Hostel TV series and the only Ugandan nominated in the AMVCA won the award of Best Supporting Actor – Drama (Movies/TV) – A Good Catholic Girl. The show was live at all Africa Magic channels. Matthew thanked all those who voted for him before heading to Lagos. "Friends and fans, thank you for taking the trouble to vote for me for the AMVCA awards." On the other hand, his better half, Eleanor also of the Hostel series cannot hide her excitement. She reached out to a few of her friends through facebook and through her post, you could clearly see that she was excited. "aaahhhhhhhh exciiitteedddd.... it felt like a race...Thank God and all y'all who voted.... Mathew Nabwiso is bringing... the award.. home.. aaaaahhhhhh love you boo...."
Matthew Nabwiso is a lead vocalist for Soul Beat Africa, a Tusker Project Fame auditions judge and also part times as an advertising model. He has featured in various films ranging from: 'The Battle of the Souls', 'State Research Bureau' and 'The Pardon' among others. His role as 'Gilo' in the NTV Hostel drama series simply highlights his talent. Matthew was tussling it out with Thomas Gumede, Osita Iheme, Fabian Adeoye Lojede and Kalu Ikeagwu.